Keloid scars on a seventeen-year-old girl's back. After the burns and wounds of the hibakusha ("bomb-affected people") had once seemed to be healed, the scars became thick and produced growths known as keloids. The keloids were seen in 50-60% of those exposed to thermal heat rays within two kilometers (one mile) from the hypocenter. Keloids were exacerbated with radiation exposure and were often extremely sensitive to the touch. Attempted skin grafts taken from unburned parts of the body developed keloids as well. Keloids left permanent scars on the victims' mind and bodies. Those with keloids on their faces often would refuse to leave their homes once they acquired shelter and those with keloids on their backs and shoulders hesitated to show their skin. A lot of people in Hiroshima wore long-sleeve shirts even in the summer after the atomic attack. Futaba Kitayama, age 33, was in Tsurumi-cho on August 6, 1945, about one mile (1,700 meters) from the hypocenter. In 1950 she wrote, "The earlobe on my left ear was shrunk to half its normal size. My left cheek, from my mouth to my neck, was bunched and disfigured by keloids the size of my palm. A keloid about five centimeters (two inches) long ran from the second joint on my right hand to my little finger. The fingers of my left hand were webbed and welded together near the root. I was barely recognizable, deformed. I held my three children and wondered how we would get by." 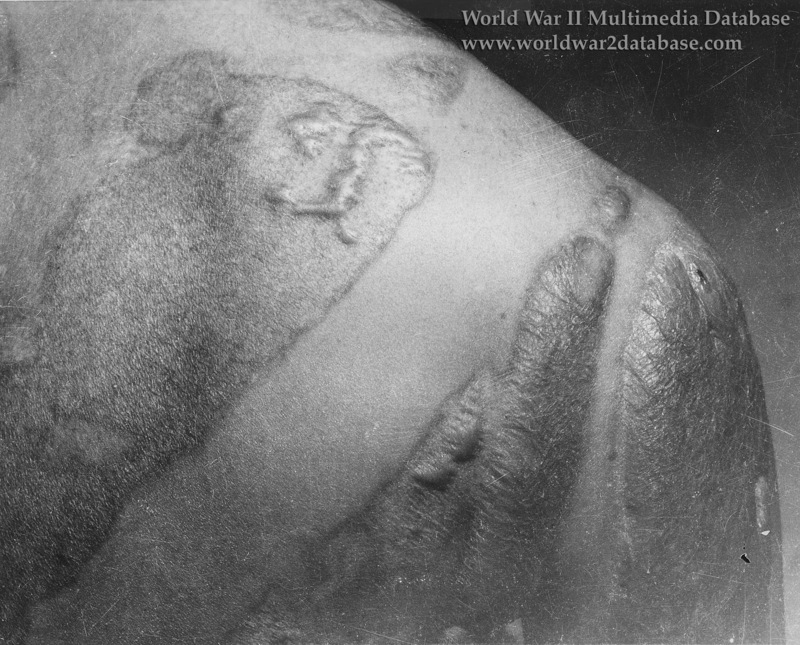 Other Japanese were afraid of "A-bomb disease" and scornful of the disabled, visibly evident because of their scars. Thoru Hara, age 13 at the time of the bombing, wrote in 1949, "Should the city of the Peace Memorial be a mere tourist attraction? Should a pathetic man with a keloid scar be a show in a booth?"